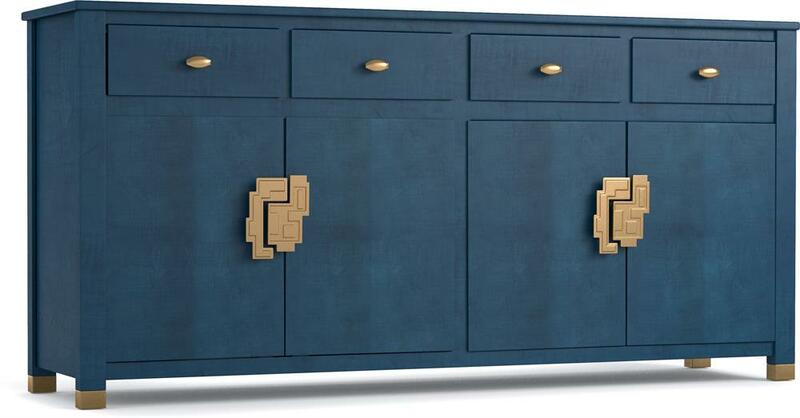 Our Curiosity Credenza is a jewel – and a storage wonder. Sycamore wood grains shine under a lacquered turquoise finish. 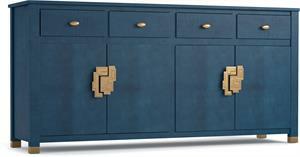 Intricate pulls offer access to vast storage space within. Do you love the unknown? Does a little detour off the trodden track intrigue you? Come peek behind the curtain and venture to the land of Curious, a bubble of color, texture, shape and design inspiration for the home from Cynthia Rowley. When curiosity is your guide, decorating is imaginative and fun. You might even surprise yourself.